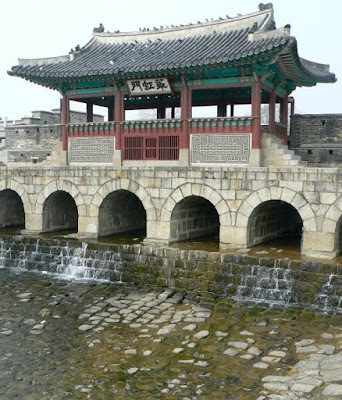 Buksumun, the northern floodgate at the UNESCO World Heritage listed Hwaseong Fortress in Suwon, south of Seoul. The Asian architecture is incredible! Lovely photo and magnificant building!